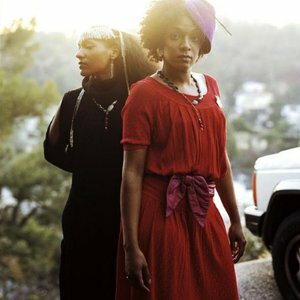 Les Nubians is the name of an "afropean" R&B Grammy-nominated duo composed of sisters H?l?ne (born 1975) and C?lia Faussart (born 1979) from Bordeaux, France. Although born in France, the sisters moved with their parents to Chad in 1985. Seven years later, they returned to their home country. Despite receiving a lukewarm reception in France, they have become one of the most successful French-language musical groups in the U.S. Apart from their two albums, they have also made appearances on songs by the Black Eyed Peas, Talib Kweli, and Yerba Buena. Despite receiving a lukewarm reception in France, they have become one of the most successful French-language musical groups in the U.S. Apart from their two albums, they have also made appearances on songs by the Black Eyed Peas, Talib Kweli, and Yerba Buena. September: Third Album "N? Revolution" is released!